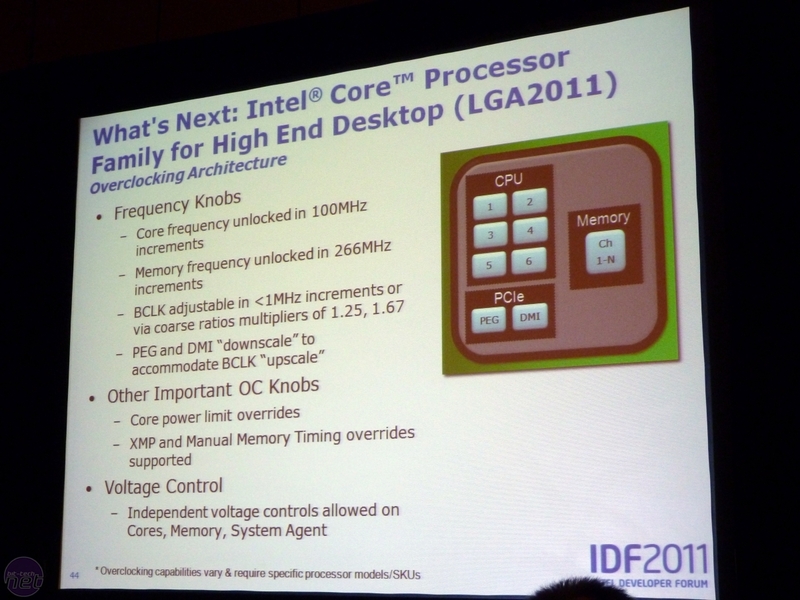 While we’ve yet to get our hands on a Sandy Bridge E processor, Intel has revealed how we’ll be overclocking it. As the architecture's codename implies, Sandy Bridge E is based on the Sandy Bridge architecture, despite the new LGA2011 CPU socket and the quad-channel memory controller. This means that it shares many of the characteristics of the LGA1155 CPUs which with we’ve become familiar. 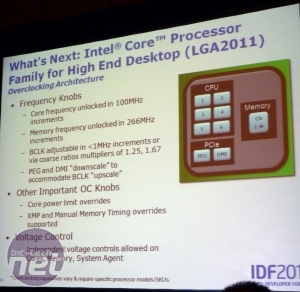 Recently leaked information that showed that only one Sandy Bridge E processor will have an unlocked multiplier was therefore met with shock and dismay – it had seemed that if you wanted to overclock Intel’s supposedly enthusiast-class platform, you’d have to pay through the nose for the top-end LGA2011 CPU, which was rumoured to cost $999 before tax. 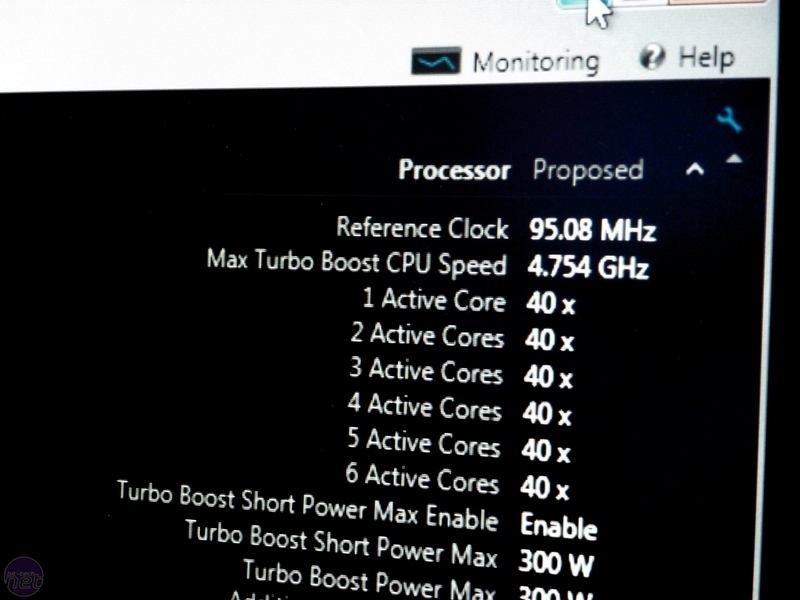 Without an unlocked multiplier on an LGA1155 system, you’re limited to Base Clock overclocking, which Intel only recommends increasing by up to 5 per cent, while others claim it’s only good for up to a 10 per cent boost. Thankfully, we now know that Sandy Bridge E systems support more flexible Base Clock overclocking than Sandy Bridge systems. The key is a new divider between the Base Clock of the system and the CPU – it’s a gearing mechanism, just like a memory strap or a CPU multiplier. 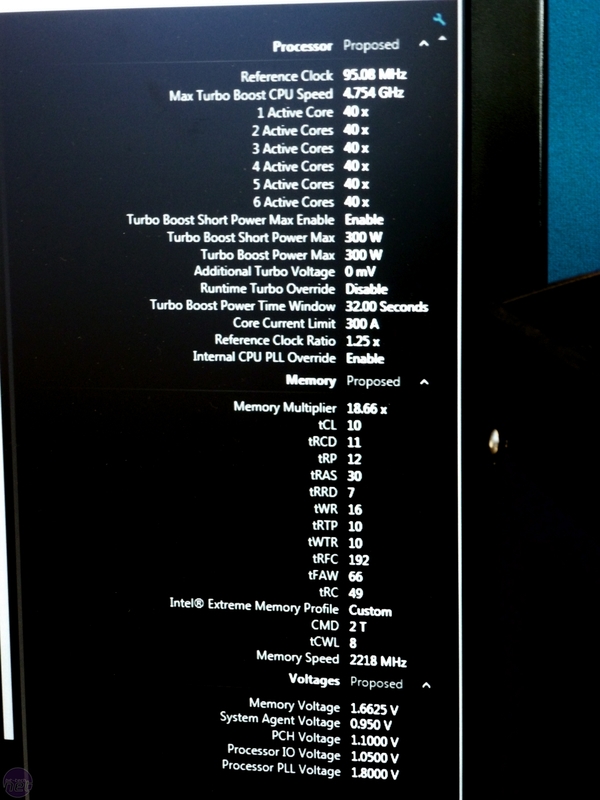 There are two dividers to tweak, at 1.25x and 1.66x, with both acting to gear up the Base Clock used by the CPU, while leaving the Base Clock for the rest of the system alone. Having two Base Clocks in one system will probably get confusing, though, so in the absence of clear labelling from Intel we’ll call them the System Clock and the CPU clock. 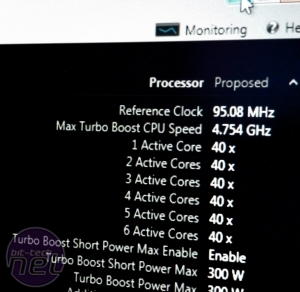 You’ll also need to tinker with the Turbo Boost tweaks with which you're familiar when overclocking a Sandy Bridge system – increasing the maximum possible power draw of the CPU to prevent Turbo Boost capping your overclock, or reducing it during a prolonged session. 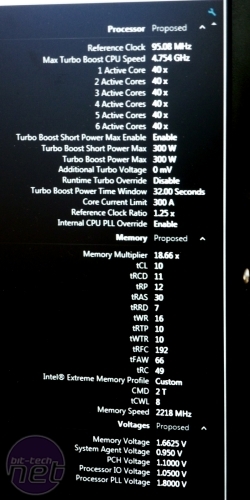 From the slides, demos and discussions we've had with Intel, we can now tell you how to overclock Sandy Bridge E to 5GHz, although our methodology will work for any overclock on such a system. We take a look at six of the best new modding projects, and you can vote for your favourites.